and evaluate them from the point of view of people’s security. Unmanned weapon systems with one or another degree of autonomy are widely discussed in the last years. The increasing use of drones in the law enforcement of some countries attracts considerable attention with regard of potential human rights violations. Although both non-lethal weapons and remotely controlled systems can save lives and provide indisputable tactical advantages, the introduction of non-lethal armed robotic systems into law enforcement is being viewed with skepticism and concerns. The purpose of this article is to explore why society is concerned about these systems and to what extent such concerns are grounded. Ethnic, religious, cultural and ideological and political diversity of societies in the Balkan Peninsula have repeatedly led to armed conflicts and various forms of political violence in the past. Similar turmoils are evident so far, and it is highly unlikely that they would be absent in the future. For that reason, the geospatial of the Balkans is symbolically called the “powder keg”. An additional security challenge is certainly the global forced migration that this georegia is faced with after 2015, which has also increased the fears of governments and citizens against refugee terrorism. In this regard, the aim of this paper is to point out that the fear of “Islamist terrorism” of migrants is unjustified, while at the same time extremist groups and radicalized individuals who have been present for years in the Balkans and who were resorting, who resort now and will probably resort to some forms of political violence in the future, are marginalized. Safety and security are vital in providing quality in tourism. More than any other economic activity, the success or failure of a tourism destination depends on being able to provide a safe and secure environment for visitors. The presented paper examines the impact of the security situation on the tourism sector in selected countries of the former Yugoslavia. Methods which were used for completing the paper include the literature review, content analysis of documents published by UNWTO, UNDP, WEF and IEP. Case studies for selected countries of the former Yugoslavia are also presented. 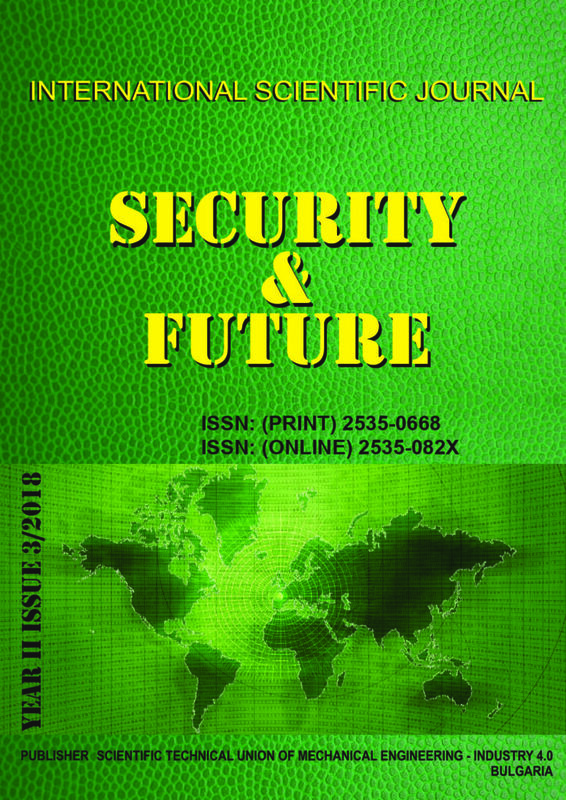 THE ROLE OF HUMAN RESOURCES DEPARTMENTS IN CREATING THE SECURITY SYSTEM – THE OUTLINE OF THE PROBLEM M.
The article presents the direction of development of contemporary human resource management and the use of the human potential in the defense system based on human–employee as the capital of modern organization. The main types of weapons in the nuclear artillery are shown. The main types of used controlled and unmanageable ballistic missiles manufactured in Russia are examined. It shows the application of ballistic and winged missiles and their role in the theater of warfare. Security is often commonly used and most meaningful concepts in contemporary political vocabulary. Furthermore, it has been engrossing in a fascinating subject in aspects of the survival of nations and states in the world. There is no doubt about the fact that energy security is factor influencing the security area. This paper analyses the impact of energy dependency in the World and in our country. Nowadays, we are witnessing a constant increase of cybersecurity-related threats and dangers. New trends such as monetization of attacks, their virulent propagation through social media channels, the abusive collection of data through interconnected smart things, with little concern for the privacy of the user, are expressed by the important security solutions providers around the world. In addition, the academic literature presents numerous real and proof-of-concept attacks and security problems that have a considerable impact in various domains. On the other side of the story, the organizations usually ignore privacy and security concerns, and there is a very low level of awareness regarding these issues. The need for related training programmes and educational curricula in this area remains almost unanswered. In this context, the paper analyses the security measures applied in contemporary organizations with the purpose of raising employees’ cybersecurity awareness and discusses their effectiveness, using a sample of 25 small and medium Romanian enterprises, with the intention to identify the current and to propose future viable solutions for raising awareness and inducing ethical behaviour among employees. In terms of designing or building new protective and security structures or equipment as a physical component of force protection, experimental verification of analytical or numerical calculations and vice versa becomes necessary. While the experiment can be performed on individual components, complex assessment of more complex variants or performing a parametric study is becoming more and more relevant in modelling and simulation domain. For this reason, there is a clear necessity to find the right connection between numerical simulation and experiment. Fast, nonlinear processes require nonlinear material models to capture the rate of deformation and material behaviour under extreme loads such as the effect of explosions or the impact of a projectile, i.e. the effects, which the theories and practices of protection of the population and troops are trying to minimize. The important part of the accuracy of computational models is the correct identification of the parameters of material models used in the simulations. acceleration values. The numerical simulation took place in the LS-Dyna software environment interconnected with the Optislang optimization program. Today’s battlefield is ever-changing in terms of weaponry demands and engagement criteria. Demands for additional capabilities of current ordnance are constantly growing. An easy yet cheap and effective way to increase existing and also add additional capabilities of current ordnance is by introducing a smart fuze that incorporates electronic components. In this report, a smart fuze software algorithm is created that is customizable, gathers and analyzes data from different sensors and provides different fuze functions. Introducing, as well as, upgrading existing fuze functions making them precise and accurate.